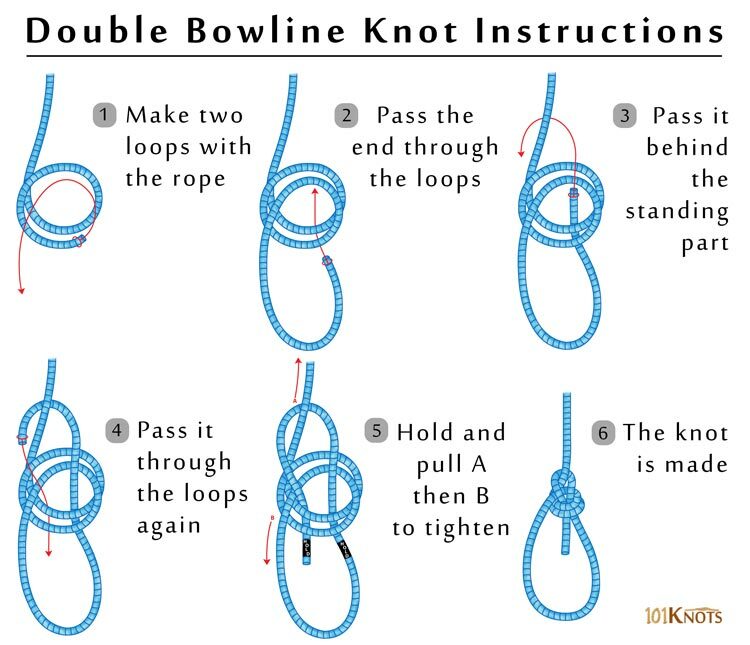 An extra wrap around the bight differentiates the double bowline or round turn bowline from the classic bowline knot. This makes it a stronger alternative suitable for heavy-duty rigging and rough activities. According to Clifford Ashley, the author of The Ashley Book of Knots, it decreases the danger of capsizing that is likely to happen when the bowline is carelessly made. Double Yosemite bowline – It is a double bowline knot with a Yosemite finish for added security. You can tie it in the slip knot method for easy untying. 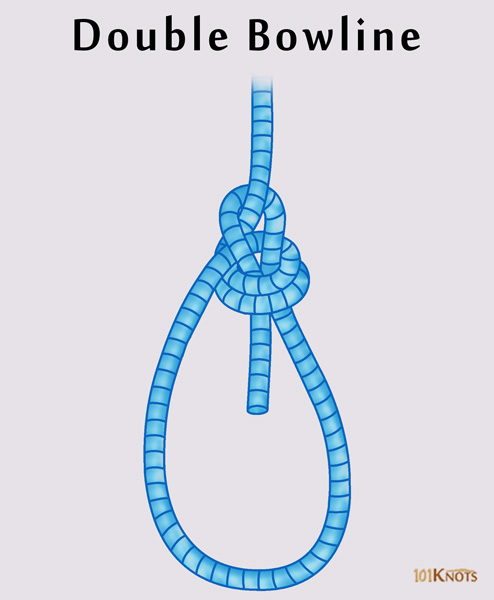 Figure 8 on a bight – Difficult to untie in a fall after being loaded, unlike the double bowline. However, the figure 8 on a bight is more secure. Bowline on a bight – Has greater security and strength. As a tie-in to connect a rope to a climbing harness. For tying a rope tree swing. Water bowline knot – The initial loops overlap each other to form a clove hitch, unlike the double bowline where the loops are placed beside each other. It suits wet conditions better.